Time to Refinance? You may be missing out on a better rate! Interest rates and home loans continue to be a hot topic in financial circles. After a prolonged period of a low cash rate throughout 2015 the RBA set the lowest cash rate in Australian history – at 1.75% – in May 2016. Can they go any lower? Opinion remains divided as to whether they will go any lower – and also when. In addition, the RBA no longer controls whether your home loan interest rate will go up or down. Lenders have been setting their interest rates independently of the RBA for around four years. It’s good to see that many lenders have already announced a decrease in home loan interest rates as a result of the cash rate drop. Will it continue? The only thing that IS certain is that they WILL eventually rise again. So what loan is the right one for YOU? Well, that all depends on your circumstances. Variable and fixed loans have their advantages and disadvantages so it’s imperative to consider these before making a decision. Fixed loans provide you with the assurance of regular loan repayments removing immediate exposure to potential increases in interest rates. A number of lenders now allow additional payments (up to a limit) that may be redrawn during the fixed term. Variable rates do allow ultimate flexibility however they come with the additional exposure to changes in future interest rate changes, down AND up. Split loans combine features of both variable and fixed loans allowing you to broaden your options and limit the exposure to increases on the full amount financed. It is important not to judge a home loan solely on interest rates. Be aware of other fees including upfront fees and ongoing monthly fees. We can help you review the costs and benefits of extra features, such as an offset account or redraw facility, possibly saving you money. Other loan features to pay attention to include lenders waiving fees and charges for other accounts held with them (such as monthly transaction account keeping fees). Make sure extra repayments are not penalised. Some loans, such as fixed loans and some no-frills variable loans, may limit the amount that you can reduce your loan. How easy is it to switch to another home loan? Many people end up paying more than they need by staying with an existing loan or lender because they think it is ‘too hard’ to investigate switching to another option. You should ask yourself whether your existing loan and structure is working for you and assisting in achieving your financial objectives. Can you improve your financial position? As your finance specialist we research alternative products and/or available lenders. If changing products is suitable for your situation, we help make the process as smooth as possible – even if you wish to stay with the same lender! The ban on exit fees came into effect in 2011 and applies to home loans entered into after 1 July 2011. Many lenders have also extended the removal of exit fees to existing loans. Check with us first! We can advise you if there are any exit charges for your existing loan. Standard costs such as mortgage stamp duty and mortgage registration may also need to be considered when changing loans. However in some states you may be exempt from paying mortgage stamp duty. If you HAVE NOT reviewed your financial situation in the last 12 to 18 months then you are more than likely MISSING OUT on some great finance offerings. It costs nothing for us to double check your situation and may in fact save you hundreds each month. You can make additional repayments without incurring a penalty, then have the option to redraw the additional funds at a later date. Provides more flexibility than other types of loans. When the Reserve Bank or lending institutions increase rates, the interest rate on your loan will also increase. As a consequence you will pay more interest. If interest rates increase during the fixed period, your loan interest rate and repayments will not rise. Loans can typically be fixed for periods between 1 to 5 years. Budgeting is easier by offering you the predictability of a set repayment each month and giving you security over your financial situation. When interest rates go down, the rate on your loan will remain the same so you will not have the benefit of potential savings. Most fixed loans limit the flexibility of being able to make extra repayments to repay your loan early. Some lenders allow extra payments for a fee, however generally you are not able to redraw the extra repayments during the fixed rate period. If you choose to exit or switch your loan, there may be early termination fees. 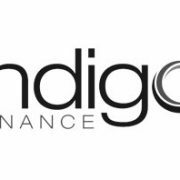 http://www.indigofinance.com.au/wp-content/uploads/2017/03/default-v2.jpg 198 300 wsadmin http://www.indigofinance.com.au/wp-content/uploads/2017/01/indigo-finance-logo.png wsadmin2016-07-26 02:30:252017-03-09 02:32:56Time to Refinance? You may be missing out on a better rate! If we believe research and the media, Generation Y is seen as being far more interested in an indulgent lifestyle than mortgages. Well guess what? The oldest Gen Ys are now turning 35 – and they are the NEW generation of first home buyers (FHBs). According to a leading provider of lender’s mortgage insurance1 (LMI) Gen Y borrowers account for 20% of its current portfolio – and they have only recently reached an age where they are seeking mortgages! Yes! That’s 4 years away. Gen Y has often been given a poor score card on the employment front. In fact they are the most educated generation in history. However they do tend to graduate with a lack of practical workplace skills – so they can be underprepared for employment. This is largely due to growing up in a more affluent society – many haven’t NEEDED to work – and parents have happily supported them through tertiary education so they can focus on studies. As a result, early working years can sometimes be challenging and ever changing for Gen Y. The life stages that define adulthood and independence have shifted for Gen Y. They are leaving home, starting full time employment, getting married, having babies and getting a mortgage later in life than other generations. But they are NOW arriving! What do FHBs need to know? It pays for all FHBs to understand the criteria that lenders use to assess their suitability for a home loan. Some parents are in a position to assist their children by lending or gifting a deposit for a home. What a fabulous start! So imagine the shock – and it happens – when despite (say) a $50,000 deposit a lender declines the home loan application as the young buyers do NOT meet the criteria to service ongoing loan repayments. Firstly we suggest you call us for a chat BEFORE you do ANYTHING. Recent research2 shows 62% of Gen Ys are very or extremely likely to seek out advice from an experienced person in a particular field. It’s interesting that despite their online lives they actually like to TALK to someone when it comes to finance. Trust is also important to Gen Y. Why? As a generation targeted relentlessly through multiple mediums it makes sense – when it comes to important decisions – that Gen Ys seek advice from a trusted source over marketing hype. Get a copy of your credit report. Your credit report is an important part of any finance application process. You need to know your ‘credit score’ BEFORE you begin a home loan application. Pay your bills on time. Your repayment history is a key factor in your credit report so the earlier you pay your bills the better. Do you need those credit cards? Lenders consider the LIMIT on your credit card(s) when assessing your borrowing capacity – even if the limit is unused! Avoid job-hopping. Frequent changes of employer MAY be a red flag to a lender. If buying your first home is on your radar, chat to us BEFORE changing your job or career. As your finance specialist it is our job to assess your personal situation and explore any areas that may need attention BEFORE you begin the home loan application process. Our aim is to make your FIRST experience as a home owner as smooth as possible. Do you remember waiting in line at a bank during business hours to withdraw money from your account? If you were late you risked having NO MONEY for the weekend! Doesn’t that now seem so incredible? The growth of online banking and transactions of all types has exploded in recent years. We now enjoy 24/7 online access to our funds as well as global shopping from the comfort of our homes. Technology has changed our lives immeasurably, however it has also led to a new type of personal risk – online fraud. Online fraud refers to any type of fraud scheme that uses online services to conduct fraudulent solicitations, fraudulent transactions or to transmit the proceeds of fraud to financial institutions. Banks and financial institutions spend millions on sophisticated software systems to protect our accounts. It is for this very reason criminals instead focus directly on customers to trick them into disclosing confidential personal information. However, there is a lot YOU can do to protect yourself. Being aware of the risks will help you make better choices about HOW you use the internet. Install security software and set it to scan regularly. Reputable software will protect you from viruses, malware and spyware and alert you to threats. It is equally important to pay attention to security settings on mobile devices or any device that has an internet connection. Scareware often appears as a popup advising your computer is infected. It prompts you to purchase (useless and possibly dangerous) software to repair it. Check your security settings and ensure your popup blocker is on. Turn on auto updates – most software companies issue free updates to fix security issues and other bugs. Automatic updates ensure software is always up to date against the latest threats. If you have old software no longer supported with updates from the manufacturer – uninstall it. Be wary of clicking links or attachments in emails or on social media sites. As a general rule, if you don’t know the sender – DELETE. Review and adjust your privacy settings on all social media sites. Not sure how? Google ‘How do I set my privacy settings on Facebook?’ (LinkedIn, Instagram etc). Use strong passwords AND change them twice a year. Yes, we know they are the bane of life for many of us! But they can certainly help prevent criminals accessing your computer or other devices that hold personal information. If a computer offers to save your password when you log in say ‘no’. Scammers can use malware to locate passwords stored in your PC. Use different passwords for each account. And whatever you do, DON’T store a list of passwords on your computer! If you must, write them down and hide them well away from your computer. Secure your wireless network. Assign a password so that any attached device must know the password to connect. Try not to use WiFi hotspots or public computers for sensitive internet usage. Always clear the history, close the browser and log out after use. When shopping online check you are on a secure page. The web address will begin with https and display a locked key or padlock icon. But beware, scammers can reproduce symbols to make a fake site look secure. If in doubt, don’t purchase. Better to be safe than sorry. Always keep a copy of your transaction. If you suspect a scam or fraud contact your bank immediately. NEVER send your bank or credit card details by email – ALL transactions should be through a secure web page. Conversely, banks will NEVER send you an email asking you to reveal your account details or password. Ignore or delete any email that looks suspicious or contact your bank by phone to confirm legitimacy. Our online world has provided convenience at our fingertips we could never have imagined 15 years ago. In many ways it has changed our lives for the better. Being proactive about online security will help all of us stay safe online.